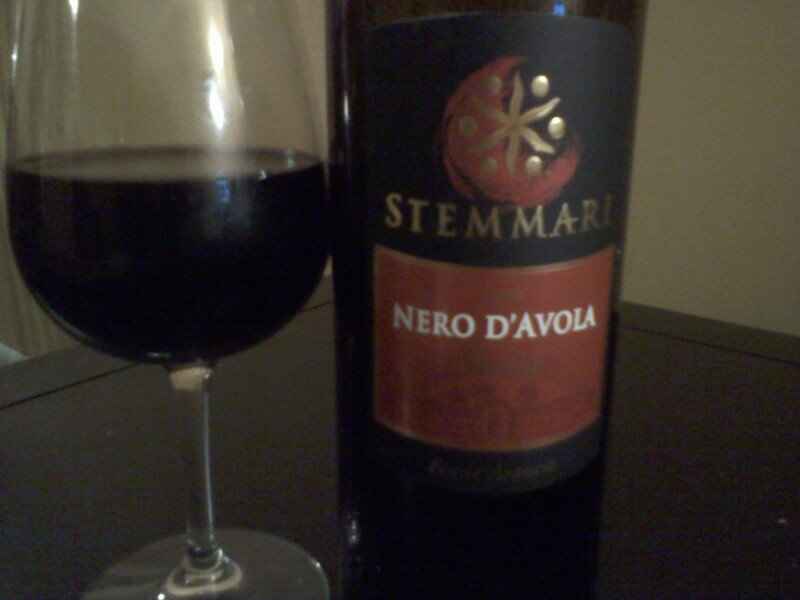 Stemmari Nero D’Avola is dry, loaded with black and red cherry fruit, a little smokey, hints of cinnamon, and spicy too. Great with some cheese and dark chocolate. I give this wine a 6 out of 10. Thanks for the follow! Looking forward to some awesome reviews! its pretty good…there are alot of wines out there that people would be suprised at what they would like. Once you switch you’ll never go back! I LOVE red. For the price of this bottle, I think it is great! And I do enjoy the smokey factor. I’ve had this with a nice burger or any cookout type food and thoroughly enjoy it!